Help your organization achieve greater productivity and satisfaction, with unmatched speed, power, and reliability from the LANIER PRO 8200 Series. High-volume digital printing systems that revolutionize the way you approach black and white production, and your workflow. With stunning image quality, reliable uptime performance, and more options to finish work inline, near-line, or offline, these systems enable you to take a fresh look at your monochrome work, run your operations more efficiently end-to-end, and build better margins into every job. The choice of 5 models, including MFP or dedicated printers offering MICR options, makes it simple to find the right fit for your application needs, and your budget. Each model has the power to handle up to 1,000,000 pages per month, giving you plenty of room to grow your revenue. Never underestimate the power of black and white to captivate, and communicate. Featuring Lanier’s VCSEL technology, these systems deliver eye-catching results with resolution at 1200 × 4800 dpi, and the precision to output crisp lines, smooth grayscales, and clean whites spaces. The Pro 8200 Series was engineered from the ground up to keep your business producing. Unique enhancements actively prevent misfeeds to keep jobs running smoothly. With the option of two TCRU Kits, preventative maintenance can be performed when it best suits your workflow and schedule, giving you greater control and ensuring customer deadlines are met on time. Streamline your workflow and cut turnaround times with more inline, near-line, and offline fishing options. Keep more of your bindery and finishing work in-house, and reduce your need to outsource job components. The Pro 8200 series offers a wider array of options to meet your application needs and to achieve your marketing and communication goals. Alpha Laser & Imaging excels at protecting what matters most. From hard drive data protection and locking media drawers to an environmental footprint that helps you work more responsibly, the Pro 8200 series delivers on the key requirements your organization demands when it comes to data security and document production. The Pro 8200 series was designed to exceed market expectations in key areas customers have identified as their most critical: reliability, durability, and exceptional ease of use. Technology from LANIER’s successful cutsheet color lineup have resulted in two new models that deliver on these goals. Customers now have the speed and functionality you deserve, at a surprisingly affordable price. With the ability to handle up to 1,000,000 pages per month, the Pro 8200 series digital presses are designed to meet critical print production needs, including reliability and durability. All models come standard with a paper capacity of 3,300 sheets and the ability to handle media up to 13″ × 18″ via an additional paper tray. Optional configurations include the ability to run oversized sheets up to 13″ × 27.5″, and an increase of up to nine total media pick points with a maximum capacity of 12,650 sheets. Load on-the-fly capabilities and the option of high capacity rolling stacker carts mean long jobs require less intervention. An intelligent 10.4″ SVGA control panel puts more control at your operators’ fingertips. It features a customizable display with intuitive visual guidance and programmable shortcut icons, enabling quick completion of basic or advanced tasks for faster job execution. Plus, it displays essential operator information such as paper names in trays, jobs in queue, and supply information. Embedded card slots on the control panel provide walk-up convenience, with the ability to load jobs directly from USB drives and SD cards at the control panel. Manage your scanning workflows more efficiently, and distribute essential communications the way you prefer. For sensitive documents like exams, financials, and other critical communications, the ability to quickly scan and store information securely helps you manage risk, and keep documents organized. The Pro 8200 series provides a robust 220-sheet single-pass Automatic Document Feeder that scans at up to 110 ipm (Simplex) and 220 ipm (Duplex). A wide range of scan-to features give you the flexibility to quickly and efficiently distribute documents throughout your organization. Using the optional ADF Double-feed Detection Kit, sonar sensors within the unit detect double-feeds and ensure paper runs correctly through the system, allowing for more consistent media handling across various types of media while scanning, copying, and printing. Proactively maximize uptime and reduce service calls with Lanier’s Trained Customer Replaceable Units (TCRUs) program included with these systems. The TCRU program trains users to replace key components such as drums, rollers, fuser cleaning units and more, without requiring additional technical assistance. This keeps the system performing at peak efficiency and ensures jobs are delivered on schedule. The operator call light can be seen from virtually any angle, keeping everyone continually informed of system status. Real-time monitoring is yet another way you can improve efficiency and stay ahead of aggressive deadlines. Blue lights indicate printing and data in. Yellow notifies when toner is running low. Red shows a system error needing operator attention. The Active Tray Indicator Light will illuminate when paper is pulling from a tray. This ensures that users avoid opening a tray in use, reducing the risk of a misfeed. It also allows users to properly load paper on-the-fly without system interruption. Removing paper misfeeds is simpler than ever. LED lights guide users to the exact location of the misfeed for fast, easy removal of papers. And with a built-in Purge Tray, paper within the jam path will be shuttled to the tray for easy removal. Avoid costly slowdowns and keep your machine running without interruption. The Twin Cartridge Ports provide optimal toner capacity to match your high-volume needs. In addition, toner bottles can be replaced even while a job is in operation, further boosting uptime. This intelligently designed system allows users to load toner and multiple stocks on-the-fly, even while the system is in the middle of running a job. Minimize machine stoppage and always keep jobs moving. Consistently produce high image quality output with fine lines and seamless gradation. Lanier’s revolutionary VCSEL (Vertical Cavity Surface Emitting Laser) laser beam technology emits 40 laser beams simultaneously resulting in 1200 × 4800 dpi image resolution. This powerful technology minimizes color shift and raises the bar on print quality with crisp text, fine lines, and realistic image reproduction. That means charts and graphs print cleanly, and even large amounts of text can be read more clearly without the smudging or blurring of individual characters. At the push of a button, the Paper Library standard to these systems will automatically adjust settings based on the media you’re using to ensure you get flawless results—every time. Helping users enjoy repeatable output for frequent jobs, the Paper Library delivers peace of mind that documents will be produced exactly to the highest standards period. Sometimes the pop of colored paper is important to make your message stand out, whether it’s an event flyer or an important document being sent home with students for a parent’s signature. Confidently print crisp text and images, with consistent, rich blacks on a wide range of colored media. Active Toner Density Control analyzes the files being printed, and automatically determines the optimal amount of toner to deliver to the Developer Unit at the precise moment it is needed. And with the systems’ improved toner composition, enhanced image quality and lower energy consumption are achieved with sharper dot shapes on each printed page, smooth solid and halftone images, and lower fusing temperatures. Two process control technologies work in concert to stabilize image density, which is critical during long-run printing. An Electrical Control Unit optimizes each image, with developer and toner adhesion volumes automatically adjusted based on proper conditions. And to ensure all system resources are running smoothly, a Toner Supply Control Unit periodically checks image density to ensure image quality and warn the user when toner needs to be restocked. The Pro 8200 series supports an Indirect Image Transfer Mechanism, a proven technology that eliminates a variety of image transfer issues including scratch marks, toner scatter, and shock jitter. With this technology in place, the machine can produce near-offset-quality output quickly and economically, and handle a broader range of paper media. The Pro 8200 series uses a soft belt mechanism, with a new fusing separation plate instead of paper separation pawls. This plate does not contact the hot roller, preventing image quality issues that can be caused by paper separation pawls, such as scratches and gloss streaks. This feature, working in tandem with the system’s toner composition, enhances paper handling and improves image quality on a broader range of media. From oversized media to synthetics and heavy stocks, more choices mean more ways to easily and efficiently produce projects in-house. Cut through the clutter and get your message across—whether to students, parents, business colleagues, or customers. The Pro 8200 series offer the wide range of capabilities to communicate with greater impact. Including oversized output, a broad range of media choices, and the power to personalize. Run oversized sheets for more unique output — including true six-panel brochures — thanks to the optional Banner Sheet Feed Unit, which can easily handle paper up to 13″ × 27.5″. Or, simply maximize your media to gain greater efficiency and reduce media usage with more choices to produce applications such as book covers, posters, newsletters, direct mailers and more. The range of communications that you can now produce in-house and on-demand makes it easier than ever to reduce outsourcing, retain control, and minimize waste. Affordably produce high-quality materials such as magnetic direct mail postcards, window displays, promotional decals, loyalty cards, and stickers. With support for an incredible range of media, including substrates up to 360 gsm, these systems deliver more output options to help your company make a visual impact. New to these systems is built-in support for printing on No Carbon Required (NCR) paper. Now you can produce your own triplicate-copy forms on-demand for internal use, without relying on an outside vendor, or having to meet strict order minimums. With the IPDS support option, the Pro 8200 series provides seamless integration into host environments, with page‐level error recovery capabilities that improve handling of mission‐critical workflows and shorten bottlenecks, without having to depend on emulation software. Support for inline Magnetic Ink Character Recognition (MICR) printing on the Pro 8200 makes these systems valuable offerings for customers in the financial market. One system to do all the printing increases document security, and decreases handling and processing times. 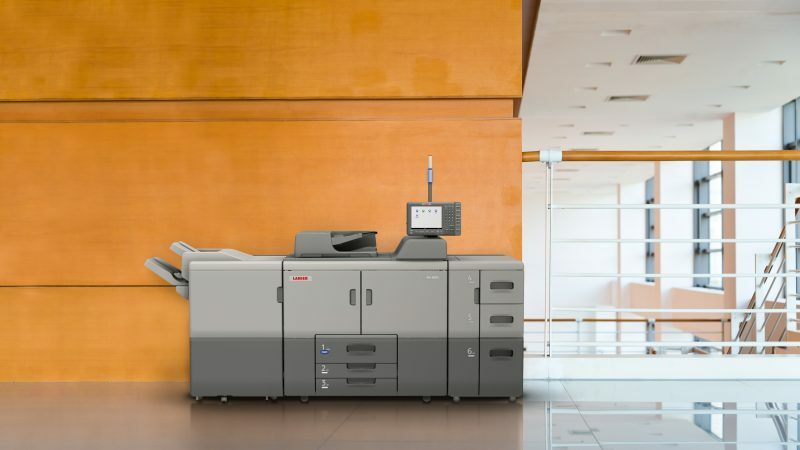 The Pro 8200 series has the power and sophistication to integrate with today’s powerful Variable Data Printing software packages to elevate your output, and help you produce more items like personalized welcome packets, HR documents, course information, performance reporting, and mailings in-house. Talk with our Production Print Specialist and let our experts guide you to the right VDP solutions for your business. Utilize our implementation services to get you started on the path to success. Choose from more inline, near-line, and offline finishing options for end-to-end document production. 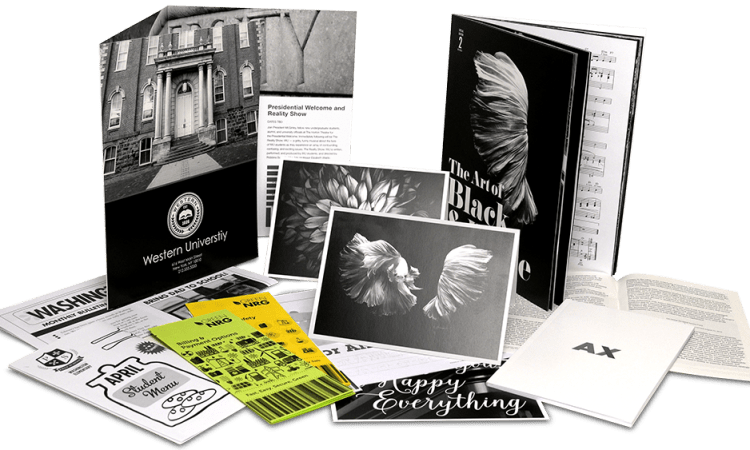 The Two-Tray Cover Interposer helps expand the monochrome capabilities of the system by enabling pre-preprinted color covers and inserts to be easily fed into the workflow prior to collating and finishing. Eliminate the expense of time-consuming manual insertion, and easily produce finished documents with color covers, and interior insert pages. The Plockmatic High Capacity Interposer is a true production quality device, enabling the insertion of a wide range of plain, index, or coated paper up to 350 gsm within a single booklet—automatically and inline. Vacuum feed technology ensures that thicker stocks are fed smoothly every time. Improve productivity by keeping black and white runs that need color covers or inserts from taking up production capacity on your color printing systems. Take advantage of two trays with 3,500-sheet total paper capacity for extended runs with multiple paper stocks, and meet customer demands by offering a wider range of cost-effective insertion options. The 3,000-Sheet Finisher offers precise multi-position stapling of up to 100 sheets at a time, for media sizes up to 13″ × 19.2″. The unit also offers a shift tray that holds 3,000 sheets and a 250-sheet proof tray. Two and three-hole punch options are available. Staple positions include top, bottom, 2 staples, and top-slant. The SR5060 creates saddle-stitched booklets up to 20 sheets—the equivalent of an 80-page book and can be paired with the optional TR5040 Trimmer Unit to cut the “creep.” The SR5060 features a conveyor belt, which pushes the finished product off the output tray and into a storage container, allowing for the continual production of booklets with minimal supervision. This finisher is ideal for the production of booklets, printed guides, directories, user manuals, exam books, and more. The Ring Binder enables the production of fully finished ring bound books up to 100 sheets. The unit will automatically collate, hole punch, insert and close rings—with no manual intervention—to finish jobs faster and at a lower cost. This lay-flat binding format is ideal for applications such as manuals, presentations, and course packs. Rings are available in black or white, and sizes for up to 50-page or 100-page booklets. The Perfect Binder delivers high-quality glue-bound books up to 200 sheets with covers up to 300 gsm. The trimming function creates three clean edges, for professional looking perfect bound output all produced inline. The unit enables better turnaround times and higher productivity for short run or on-demand book production, opening new opportunities for you, and expanded output choices for your users. The versatile Multi-Folding Unit offers six inline folding patterns to accommodate today’s most frequently requested folding formats. Newsletters, brochures, sales and marketing materials, and mailers can be precisely folded and finished in a variety of folding patterns including Half-fold, Letter Fold-in (Tri-fold), Letter Fold-out (Tri-fold), Gate-fold, Double Parallel (Four-fold), and Z-fold. The GBC StreamPunch Ultra is truly an impressive next generation inline punch system. It dramatically lowers labor costs and streamlines workflow from printing to binding. With the capability to “Double Punch” two-up sheets, the device makes multiple punches in a single pass, and also provides support for variable sheet sizes, tab processing, and leverages interchangeable die sets. The informative GUI display helps users easily initiate actions and will prompt the operator if adjustments are needed. The Plockmatic 350 Production Booklet Maker staples and folds up to 35 sheets, creating booklets up to 140 pages. This is a cost-effective modular inline booklet making solution ideal for education and enterprise environments. It enables fully automated job production and expands the range of professionally finished documents that can be completed inline. System options include a Book Fold Module, Cover Feeder, RCT (Rotate, Crease, Trim), and a Face Trimmer. The PBM350 can be upgraded to match the 50-sheet capabilities of the PBM500. The Plockmatic 500 Production Booklet Maker staples and folds up to 50 sheets, creating booklets up to 200 pages. This is a cost-effective modular inline booklet making solution ideal for education and enterprise environments that require the flexibility to produce thicker booklets. It expands your inline booklet making capabilities and helps you quickly turn around on-demand jobs. System options include a Book Fold Module, Cover Feeder, RCT (Rotate, Crease, Trim), and a Face Trimmer. The High Capacity Stacker Unit accommodates a wide variety of media in sizes up to 13″ × 19″ and holds up to 5,000 sheets. Two High Capacity Stacker Units can be configured with the system to further reduce manual intervention and increase productivity in high-volume environments. Use the stacker’s roll-away cart to make transporting heavy output quick, easy, and efficient. The RPIP is an innovative finishing device that enables third party high end finishing to be brought inline when connected to a Ricoh production printing system. This solution greatly increases efficiency and reduces the man power needed to transport work to offline production areas. Jobs are completed faster, with minimal error, and more revenue. The A3/DLT Large Capacity Tray has a 4,400 maximum sheet capacity and media capabilities of up to 13″ × 19.2″ and easily handles weights up to 300 gsm thanks to an air-assisted paper feed. The A4/LT Large Capacity Tray has a 5,000 maximum sheet capacity and 8.5″ × 11″ media capabilities with weights up to 216 gsm. Ideal for environments that produce long runs on letter size paper. The BY5010 Multi-Bypass Tray allows the addition of up to 550 sheets of unique stocks in sizes up to 13″ × 19.2″ Further increase stock support by producing oversized work on uncoated media up to 13″ × 27.5″ with the optional Multi- Bypass Banner Sheet Tray Type S3. The A3/DLT Tray Unit provides the flexibility to expand paper capacity for larger sizes without taking up too much space by converting a standard paper drawer to an 11″ × 17″ drawer. While installed, the tray can hold up to 1,000 sheets. Data security for even the most regulated environments. When dealing with official media, checks, and other important documents, security is crucial to your operation. With the ability to lock stackers and system trays, users can rest assured that only those with granted access can remove raw media and printed documents from locked sources. When enabled, output printed by these systems will contain embedded patterns that are only visible when the documents are copied. These hidden words and symbols prevent regulated documents from being copied by unauthorized users. Power on/off scheduling allows you to program the system to be up and ready when you need to begin the workday, and ensures electricity isn’t wasted during scheduled downtimes. Improve your company’s productivity by eliminating the wait time for a system to warm up or power down. Schedule it, and make efficiency automatic. 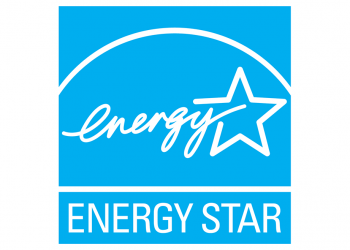 For organizations looking to evaluate products that deliver environmentally friendly solutions, the Pro 8200 series qualifies at the Gold level for EPEAT® (Electronic Product Environmental Assessment Tool) for imaging equipment, and is Energy Star compliant. With these qualifications, these systems promote energy efficiency and environmental sustainability, symbolizing our continued stride towards a greener tomorrow.